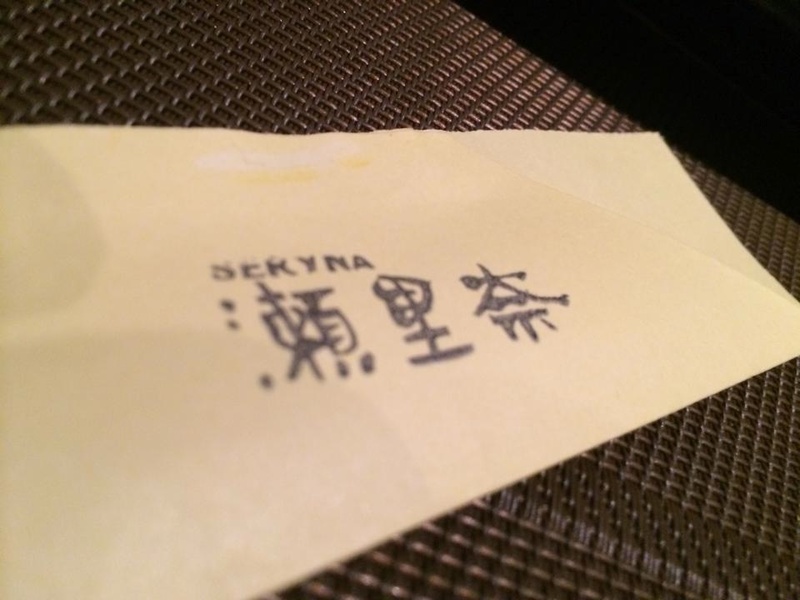 Seryna, a Japanese love affair. I’ve been hearing from my foodie friends that Seryna is not somewhere us regular earning people come to eat every weekend, or whenever we impulsively crave for sushi, but what made me decide to go was when a Japanese friend of mine mentioned this place to me. Japanese people understand quality, and they would pay for it too. So albeit pricey, I’m extremely excited yet a little apprehensive for the experience. So I arrived in Little Tokyo, a small neighborhood in Makati, rightfully named for ubiquitous Japanese restaurants that surround it. Outside the restaurant, I noticed a significant number of chain-smoking skimpily clad women, always a sign of a good Japanese meal to come. Ethics has nothing to do with food, you connect the dots. Once inside, being a solo diner, I thought of them generous to offer me a table as it is a packed tuesday night, but I asked to be seated by the bar, as I would like to watch well trained hands prepare my meal. I order an imperative beer before anything else, crucial element to having a better observation of the place. Halfway into it, I am starting to be in unison with the rest of the happy diners, I am ready to order. A confident server arrives, hands me a hot towel, opens the menu to me as I asked to have the food explained to me. I ask for their Omakase, specialty in Nihongo, which she understands, plus 1000 points. I told her I wanted to try their sushi and she recommended I get the special platter called Matsu. Its not the most expensive platter they offer, which is good, because I hate it when a server instantly points to the most expensive dish in the menu. And for the astounding price Seryna charges for each piece, I would rather get the platter and save myself from having to know the price of every bite. I smile as I observe the hands of the person making my meal, every rolling, slicing, pouring, and patting, the usual hand movements in making a sushi. I look around the place, appreciating the modern Japanese interiors. I eavesdrop on Japanese conversations that I would never understand but they sounded pleasantly drunk anyway and that I understand. I also noticed they have private tatami rooms for bigger groups who want privacy within those Japanese paper like walls, expecting some one will just accidentally roll away tearing down those paper doors laughing. Ahh.. God believes in my undying pursuit of happiness. My plate comes and it looked like an asian renaissance artwork. 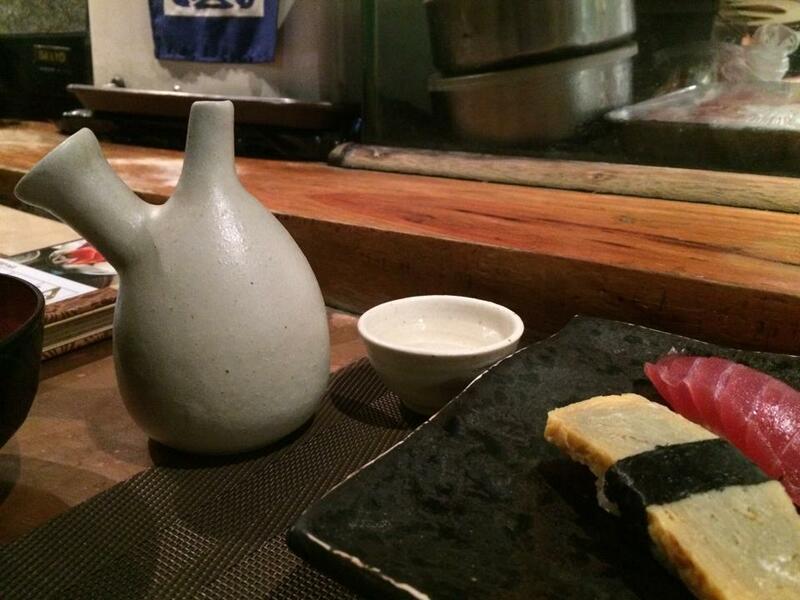 I ordered a hot sake which I think is a perfect accompaniment to the cold food I’m about to cure my hunger with. 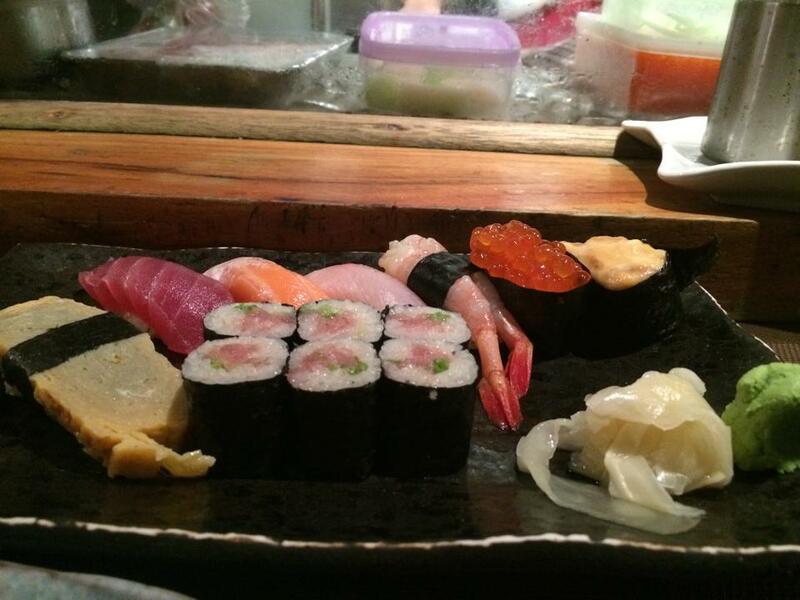 Each bite was a revelry, lightly damped with sauce and maybe a little more wasabi here and there. The best part was that having been seated at the bar, I can easily ask the person responsible for my meal things about my food, like types of fish used, a hint of spring roll perhaps? Or the origin and freshness of my uni, which made my meal quite educational. What a way to learn! If only academics can always be this pleasant. Things worth mentioning about my food, tamago/egg sushi was sweet and delightful. Maguro/tuna and salmon were average, the habachi (the palest one) was my favorite among the three. The ama ebi/shrimp was glorious, it felt like cream as it went through my mouth. The only disappointing part of my plate was the uni/sea urchin, already having seen what a freshly opened urchin looked like, I knew this creamy melting brie-like uni (a fresh uni is soft and solid) has been standing here for some time. Over all, it was a pleasant experience. Its a fun place to be in, people talk and laugh loud enough but not raucous. The owner seemed to be having just as much fun, at times I caught him leaning to the right while walking. Oh how I love an owner representing what it means to be professional (he sometimes went to the kitchen and fiddled with his staff) but not hesitant to join in with his happy drunk diners. The damage? Well its definitely not cheap but my curiosity paid me well. Kanpai!